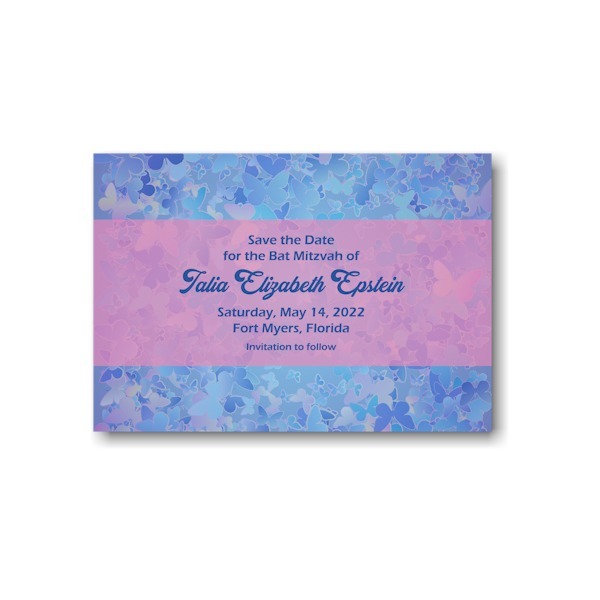 View cart “Triumph Save the Date Card” has been added to your cart. 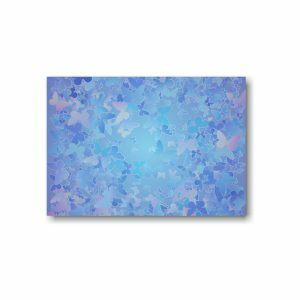 This feminine save the date card is digitally printed on one side of 120# white matte stock and features a periwinkle background with small butterflies in shades of blue and pink. Your wording details will be centered against a pale pink background. Consider adding optional matching backside printing for a nominal charge. This feminine save the date card is digitally printed on one side of 120# white matte stock and features a periwinkle background with small butterflies in shades of blue and pink. Your wording details will be centered against a pale pink background. Consider adding optional matching backside printing for a nominal charge. Measures 5″ wide by 3-1/2″ high. Shown with lettering styles Eras Demi ITC/Alexandra and deep blue ink. This save the date card comes with single bright white matte envelopes.